Editor's note: This is the second part/act of our blog series on the Russian eligibility cases at the CAS ad hoc Division in Rio. "In view of the recent appeals filed by Russian Athletes with CAS, the IOC considers it necessary to clarify the meaning of the notion "implicated" in the EB Decision. The IOC does not consider that each athlete referred to in the McLaren Lists shall be considered per se "implicated. It is for each International federation to assess, on the basis of the information provided in the McLaren lists and the Independent Person Report, whether it is satisfied that the Athlete in question was implicated in the Russian State-controlled doping scheme. · The order was a "quarantine". · The McLaren List does not refer to any prohibited substance with respect to a given sample." Editor's Note: Marjolaine is an attorney admitted to the Geneva bar (Switzerland) who specialises in sports and life sciences. She currently participates as a scientific collaborator at the University of Neuchâtel on a research project to produce the first article-by-article legal commentary of the 2015 World Anti-Doping Code. Over the past days, we have been flooded by media reports discussing the “Caster Semenya-case”, reports rapidly relayed in social networks. Since the debate has a distinct legal component and since almost every report appears to draw significantly from the legal background, I granted myself permission – as compensation so to speak - to publish a somewhat more personal, less legal, post than I usually would. 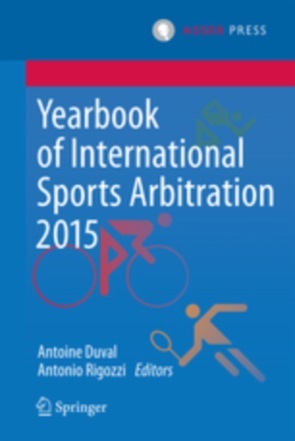 Editor's note: Marjolaine Viret and Emily Wisnosky are both editors of the ASSER International Sports Law Blog specialized in anti-doping matters, they are also involved in the World Anti-Doping Commentary project funded by the Swiss National Science Fund. A remarkable aspect of the run-up to the 2016 Rio Olympic Games was the stream of negative media reports portraying broad-scale public mistrust in sport, with the most prominent topic being the doping scandals in athletics and questions surrounding the participation of Russia. A different controversy, but one also directed at the credibility of sports, has exposed a few female Olympians to repeated, and at times rather intrusive, media scrutiny. In June 2016, it was reported that Indian track-and-field athlete Dutee Chand had qualified for the Rio Olympic Games by breaking the national record, thus to become the first Indian athlete to run the 100m at the Olympics since 1980. The attention that Dutee Chand’s qualification attracted within international media, however, was not related only to her outstanding results. It came as part of a medical, ethical and legal controversy that has existed for many years relating to ‘policing’ the male versus female divide in sports. Another athlete who has found herself in the midst of this controversy is South African runner Semenya Caster, whose participation in the Olympics has been the object of much conjecture. The divide between male and female athletes forms the core of most sports’ competition rules, including athletics. The justification for this basic divide has rarely been questioned as such, but has been a matter for debate when it comes to handling atypical situations on both sides of the ‘dividing line’ ­ such as ‘transgender’ or ‘intersex’ athletes. A category of athletes that has, especially, been viewed as a challenge to the divide is composed of female athletes affected by ‘hyperandrogenism’, a health condition that results in naturally elevated androgen levels, including testosterone levels. On 24 July 2015, a CAS panel rendered a decision involving Dutee Chand (“Dutee Chand” or “the Athlete”) that has fuelled the ongoing debate about the policies regulating hyperandrogenism in sport. Much has been reported in the media about the case: controversial issues include whether the CAS was the appropriate forum to assess these questions; whether the decision was appropriate, both on the merits and on the procedure; and what the consequences of the CAS award would be, for the parties, for athletics and for the sporting community at large. Much like the current crisis surrounding doping in sports, the public attention on women with (proven or suspected) hyperandrogenism is driven by a concern that an athlete’s physiology – natural or artificially induced ­ could distort competition, destroying the ‘level playing field’ that supports the Olympic ideal. Both topics are also often brought back to the goal of protecting an athlete’s health. Parallels are further found in the strong reactions both topics evoke, and the steps taken by the regulating authorities to convince the public that everything in their power is being done to preserve a level playing field. 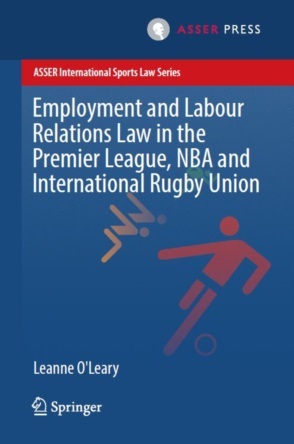 A less obvious but equally important point of comparison can be found in the issues both topics raise concerning the legal validity of decisions made by sports organizations, especially in a science-related context. This blog focuses on those more ‘legal’ aspects, through the prism of the decision of the CAS in the Dutee Chand matter and its legal implications. After touching briefly on the background of the case, we will comment on two aspects of the Chand award with respect to challenges in regulating hyperandrogenism in sport within the confines of the law: First from the viewpoint of a CAS panel called upon to evaluate the validity of a set of regulations, and second from the viewpoint of the sports organizations seeking to both adequately protect fairness in sport and to provide a legally valid (and effective) regulatory solution.